ANC6A heard CM Charles Allen Miner School last Thursday night. L-R Commissioners Mike Soderman, Stephanie Zinny, Brian Alcorn, Phil Toomajian, Chair Amber Gove, Sondra Phillips-Gilbert, Ruth Hudson, Marie-Claire Brown, ANC Executive Assistant. 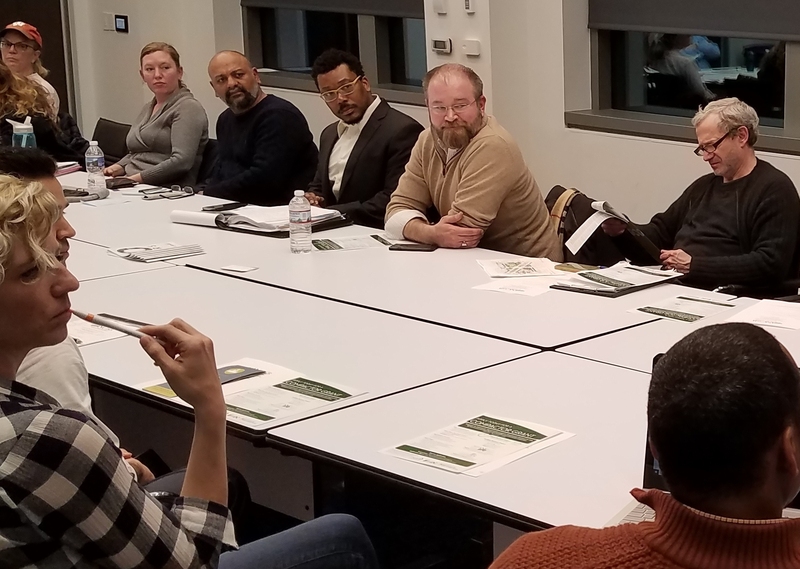 Councilmember Charles Allen appeared before ANC six a last Thursday night, as part of his tour of Ward 6 ANCs to update them on City Council business affecting the ward. In Q&A afterward, residents wanted to talk about traffic safety. A resident asked Allen how to get more MPD officers to make traffic safety a priority. Another resident wondered what could be done about the traffic app WAZE which finds alternate routes out of the city through neighborhood streets, resulting in high-speed traffic in the community. Allen said that WAZE is a private entity, and “we can’t force them to stop – yet”. But it was a question he would take back to DDOT. Parking issues came up in connection with the expansion of Maury School’s playground at the expense of school parking – funds Allen had gotten for the school. The ANC sent a letter to DDOT requesting neighborhood street parking permits for some eight school personnel who lost parking on school grounds. The permits would allow them to park on streets within the school zone boundaries from 7:00am until 6:00pm. Concerns were raised by a commissioner regarding the need to ensure “we are not creating a monster” or establishing a precedent, and that it needed to be understood that any similar request would be considered on a case-by-case basis and would not be a matter of right. CM Allen said that the move should be considered as an exchange of value – that the community as a whole would benefit from residential use of the playground. Allen says that under the law, it will be the ANC (and thus the community) who has the power to give up parking spaces on the street. He said his goal was to find a balance of the needs of the community, and street parking for teachers in this instance was a good use of public space. When the vote came, the Commission agreed, unanimously. 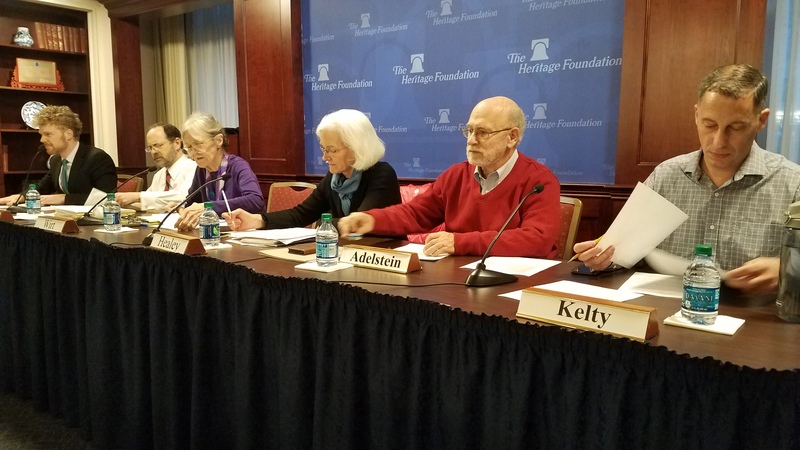 At a special meeting of the ANC’s Transportation Committee on the K Street “road diet” last month, objections from residents included the reduction in parking, worsening traffic conditions, loss of loading space for elderly residents, a lack of engagement with the community, and a lack of data on auto and bike volumes. At the committee’s recommendation, the ANC subsequently sent a letter to DDOT in February, urging quick implementation of the changes with minor modifications and urging DDOT to look into creative solutions for mid-block loading. https://bit.ly/2u8OkQY That letter was referenced in the letter ANC6C voted to send the Mayor on Wednesday night. 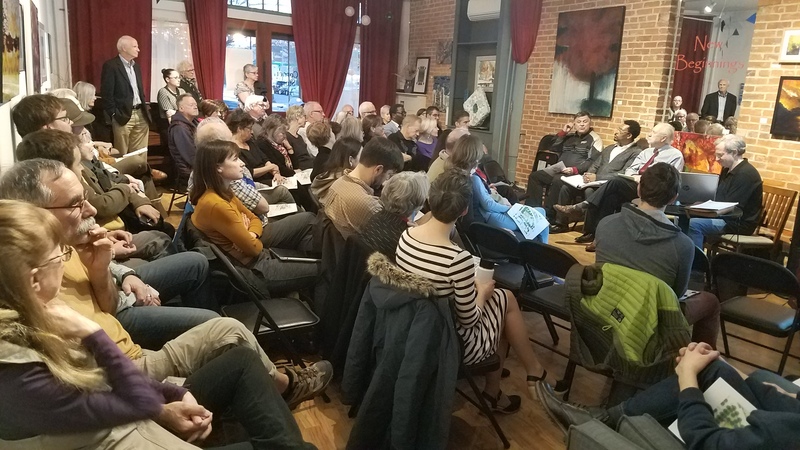 The tension between gentrification and parking/traffic issues continues to emerge as a hot topic in all of Capitol Hill’s ANC’s and came up at ANC6D’s March meeting on Thursday night. Report to follow. 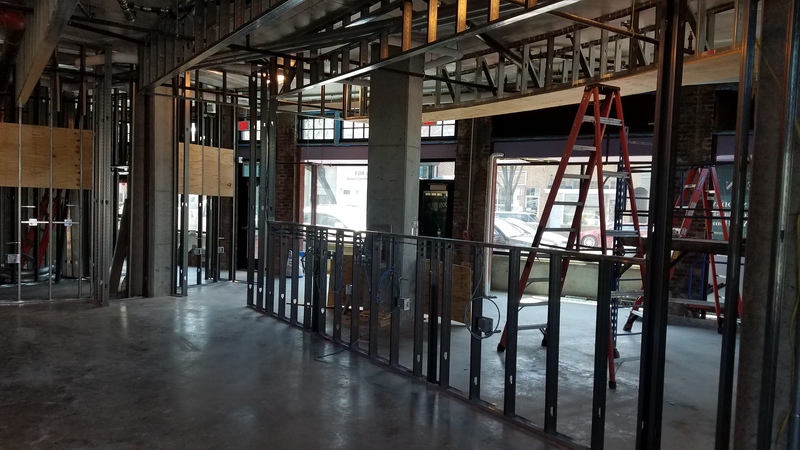 District Dogs’ New Navy Yard Location Now Open at 1221 Van Street, SE. Monday night, there was considerable neighborhood interest in making the redesign of the Eastern Market Metro Park more dog-friendly. 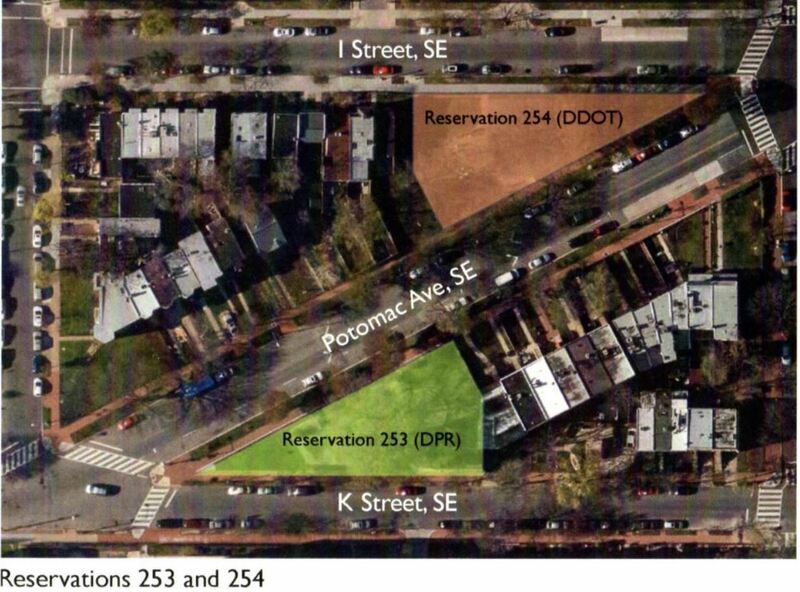 Some of those expressing interest will welcome a new dog care facility near Nationals Park, at 1221 Van Street, SE, #110. 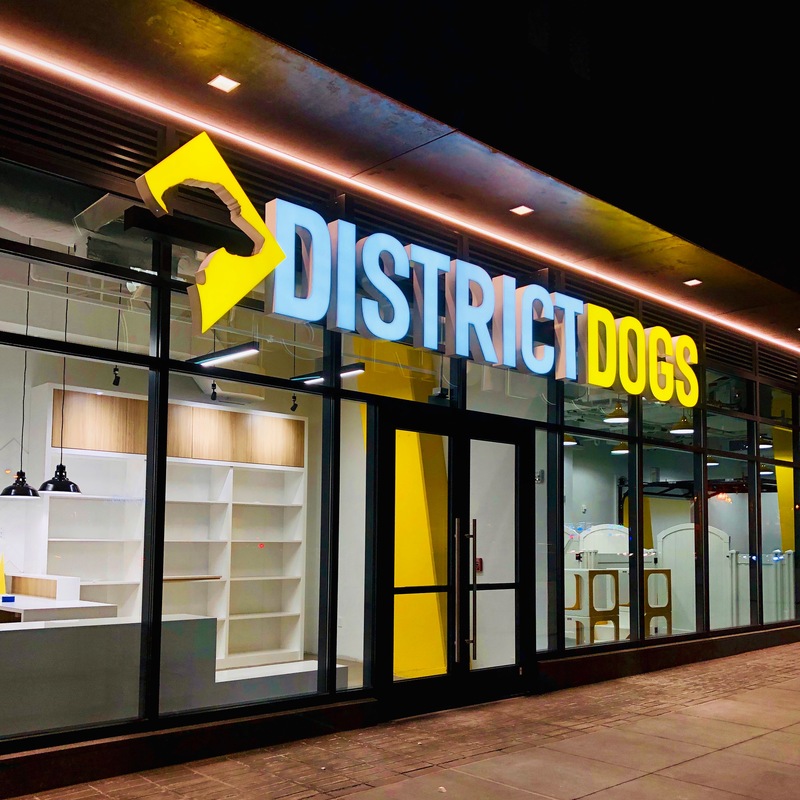 Last Saturday, District Dogs opened its new facility which includes four play areas, private boarding suites, a full-service grooming salon, and a curated retail boutique. Four playrooms ensure safe play for dogs of all ages, sizes, and energy levels. 6 HVAC systems provide the ability to control temperature and air flow on a zone basis. Dedicated water supply with industrial-grade drainage systems in each playroom allows for easy deep cleaning and disinfecting. Protect-All Flooring offers premium underfoot comfort that is soft on joints while providing superior traction for safe and fun playtime. FUNiture play structures keep dogs entertained and engaged for hours of play. An expanded menu of services, includes daycare, overnight boarding, grooming and salon services, dog walking and pet sitting. Clients will be able to book services starting last Saturday, March 9th. For more information or to book a service, visit District Dogs online or contact info@districtdogs.com. 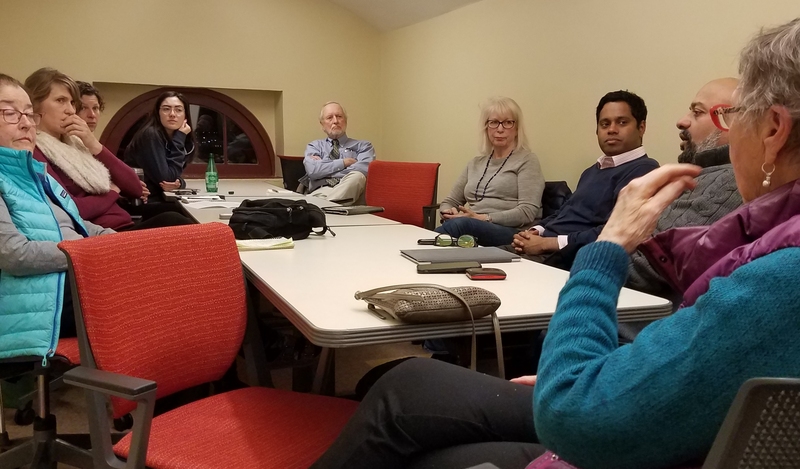 ANC6B met last night at Hill Center. L-R: Commissioners Jerry Sroufe, Denise Krepp, Steve Holtzman, Brian Ready, Chair Chander Jayaraman, Kasie Clark, Kellie Waud, Jennifer Samolyk, Corey Holman, Kirsten Oldenburg. All except Sroufe and Oldenburg supported the Evans Resolution. Both explained their opposition – see below at end of post. Councilmember Jack Evans is under fire – pay to play allegations that he used his office and prestige for private gain. Last night, ANC6B voted 8 – 2 for a resolution calling on the DC City Council to temporarily suspend CM Jack Evans from the Committee on Finance and Revenue which he chairs, and as a member of the Committee on Judiciary and Public Safety. The resolution was introduced by Commissioner Denise Krepp. The resolution is similar to a resolution passed unanimously by ANC1C (Adams Morgan) last week. The initial language appears to have been the handiwork of Commissioner Erin Palmer, ANC4B (far Northwest). Rachel Kurzius of the DCist reported last week that some 15 ANC commissioners have signed on to an open letter calling for removal of Evans from his chairmanship of the finance committee. Evans is the focus of a federal investigation by the U.S. Attorney and the FBI, an investigation by WAMAT’s ethics officer, and perhaps the District’s D.C. Board of Ethics and Government Accountability. City Council Chair Mendelsohn has resisted demands for a special investigation by an entity of the Council in light of these other probes. On March 8, the Washington Post reported federal subpoenas directing the preservation of documents and communications related to Evans had been issued to the DC Council and the office of Mayor Bowser. Also on the list of those subpoenaed are the Hine developer Anthony Lanier and Eastbanc, and Hine development partner, Colonial Parking. Others include the law firms Squire Patton Boggs and Manatt, Phelps and Phillips, Evan’s consulting firm, Exelon, Willco Construction, EagleBank, the electrical design firm M.C. Dean, and Digi Outdoor Media. The DC City Council has scheduled a vote on a resolution of reprimand for Evans next week. Current members of the ANC6B Taskforce include Chair Steve Holtzman (standing), seated to his right, Commissioners Jerry Sroufe and Brian Ready. Also pictured at far left is community activist Carl Reeverts. Latest DGS design concept for Eastern Market Metro Plaza. 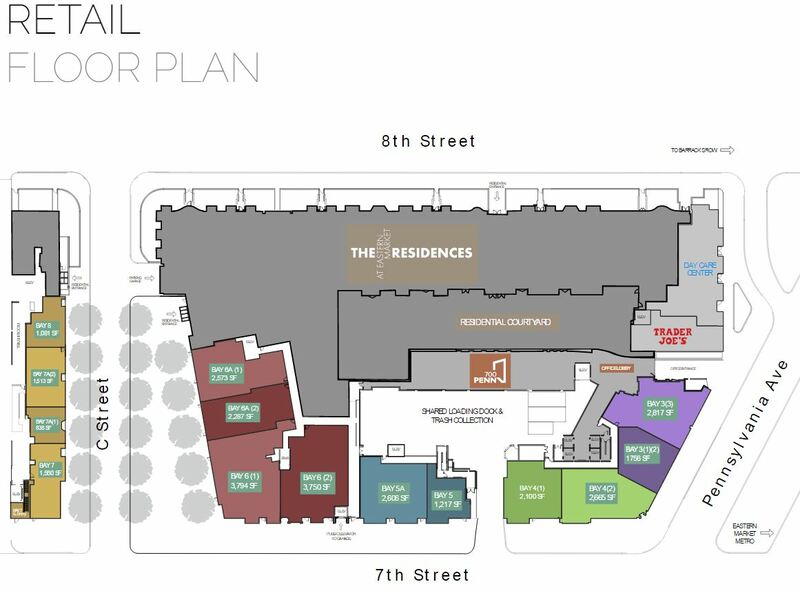 ANC6B has uploaded a copy on the ANC6B website, accessible here: https://anc6b.org/wp-content/uploads/2019/03/2019-03-06_CFA-Presentation_Final.pdf The core projections of what is being proposed for the parcel 1 park are on pages 25-26 of the document. The Dept. of General Services (DGS) design team will present its final concept for the Metro Plaza Park to the community on April 3rd. The plan calls for breaking ground on Parcel 1 where the playground is located, with the goal of opening it in the summer of 2020. 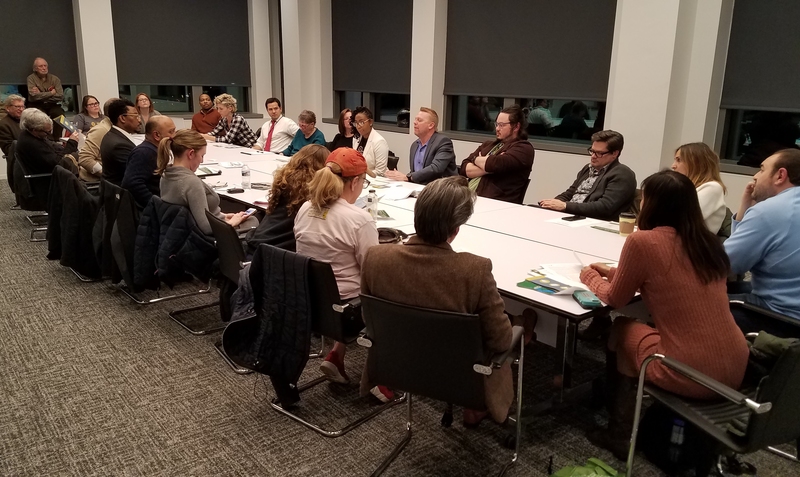 Last night, ANC6B’s Livable Community Taskforce – chaired by Commissioner Steve Holtzman – met to make sure the park’s users have input to make the park work for residents. Holtzman said that the design process had been flawed – especially regarding engaging residents adjacent to the park and those who would use it most – and that tonight’s meeting was a last minute effort to address their pragmatic and functional concerns. Chief among those concerns were how to activate the park – largely as a way to address existing safety concerns – and how to maintain it. Long time park supporter and activist Carl Reeverts explained how over the years, many efforts to rally neighbors to maintain the park ended in failure, owing to a loss of enthusiasm and lack of community leadership. Holtzman noted that there is nothing in the public plan about maintenance and security, and there was broad consensus in the group to ask the city to provide funding for maintenance and upkeep. A suggestion to establish a ”Friends of the Park” organization elicited a show of hands from some 15 attendees willing to participate. The main way to activate the park will be the fenced children’s playground and splash pad on the north side of Parcel 1. The playground will be located in an area where substance abusers and drug dealers currently hang out and sometimes harass passersby – especially women – as they walk through the park. Suggestions on how to improve the playground included seating for parents who want to watch their children, a shade structure or tree canopy, and an entrance other than off the main walkway. 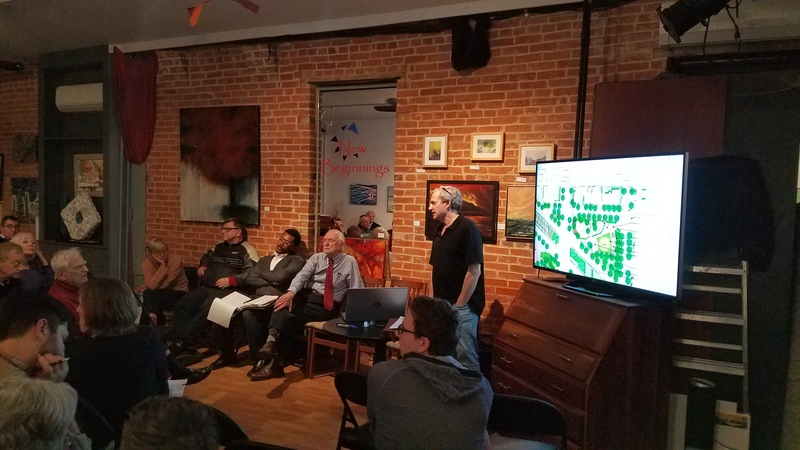 Holtzman acknowledged that a playground is not the sole answer to activating the park, and many who attended the meeting voiced support for a dog park or dog run. Holtzman asked those interested to form a committee to make specific recommendations to the Taskforce. Other suggestions included adding more tables and chairs, chess tables, a community garden, more green space, a water fountain and spigot, and benches and trees to line the diagonal walk. A discussion of using the park for special events produced suggestions including movie nights, bands, and other events, but also raised the question of how much event space would be used, given the lack of resident interest in using Lincoln Park for events. Several residents expressed the desire to just get the project started and finished – adding that the result may not be perfect, but it’s better than what we have now. Holtzman assured the group that tonight’s meeting would not interfere with the project’s timeline. 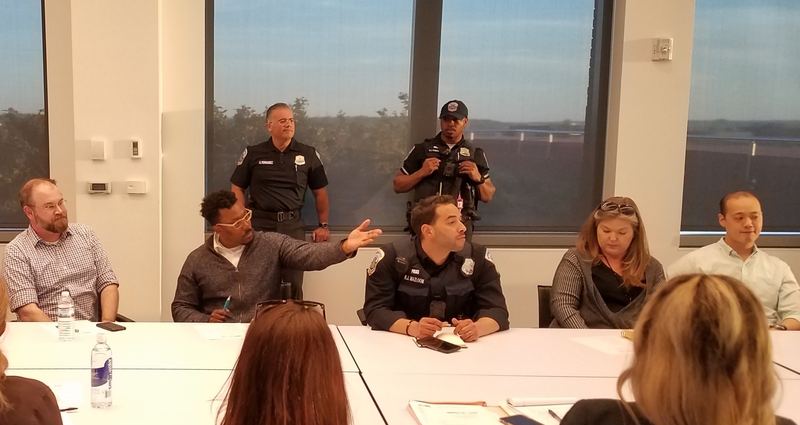 The Taskforce will carry the resident’s concerns and suggestions to the Eastern Market Metro Plaza Advisory Group, appointed by DGS to provide input on behalf of the community. 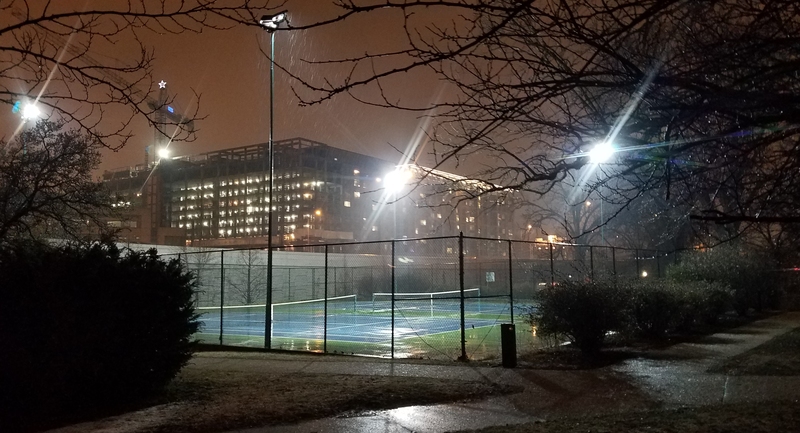 ANC6B has been concerned that the Advisory Group did not function well as a venue for residents and park users to provide input into the process. ANC6B Chair Chander Jayaraman charged the Liveabilty Taskforce with being ANC6B’s vehicle for conveying resident input to DGS.